Most of the best coworking spaces are local, with no intention to grow and risk their pole position and quality. On the other hand, highly mobile entrepreneurs struggle to easily find a quality coworking space in other countries ideally with a similar service they experience in their home base. 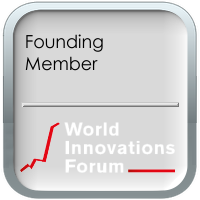 WIF – is organizing to connect top coworking spaces with each other, building a global network of similar top-quality organization. 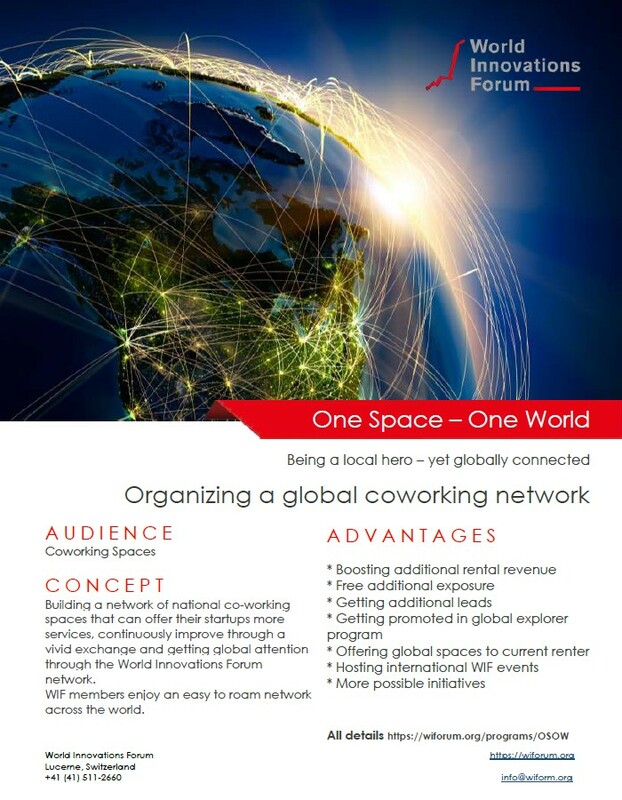 The “one space – one world” program shall help coworking spaces be more global, yet local. ACTIONS – We are working with Coworking spaces around the world to identify the most sought after needs from entrepreneurs when it comes to office space and incubation. And we do the same for corporate innovation labs who need to leave the protective and overly organized corporate offices to start something new. Programs will be developed and distributed for those organizations, entrepreneurs and corporate innovators. who seek to develop the next generation of collaborative office environment. OBJECTIVE – Making it easy for all innovation stakeholder to find an office space wherever they go. Providing our members a program that they find a well supportive infrastructure in each of these locations to be nearly uninterrupted productive.